Being motivated is essential to achieve success in life and motivation will be sustained by reinforcing it. Therefore, always and almost on daily basis watch a video or read a story that motivates to go that extra mile towards the goal. 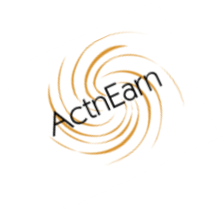 For us at actnearn it is important that we as a team remain motivated and also help those with whom we share our online presence and content. Today's post objective is just that - NEVER GIVE UP. We thank our delegators for their immense faith in us and their support - @michelios, @peerzadazeeshan, @mermaidvampire, @jist, @blockcryptochain, @saskia . Now our SP Weight is 4473. You got a 49.16% upvote from @moneymatchgaming courtesy of @actnearn! Please consider upvoting this post to help support the MMG Competitive Gaming Community. Congratulations, your post received 41.16% up vote form @spydo courtesy of @actnearn! I hope, my gratitude will help you getting more visibility. You got a 34.81% upvote from @upmewhale courtesy of @actnearn! You got a 40.30% upvote from @joeparys! Thank you for your support of our services. To continue your support, please follow and delegate Steem power to @joeparys for daily steem and steem dollar payouts! BOING! You got a 46.45% upvote from @boinger courtesy of @actnearn! @actnearn purchased a 63.98% vote from @promobot on this post. You got a 38.66% upvote from @oceanwhale courtesy of @actnearn! Earn 100% earning payout by delegating SP to @oceanwhale. Visit www.OceanWhaleBot.com for details! You got a 27.53% upvote from @emperorofnaps courtesy of @actnearn!